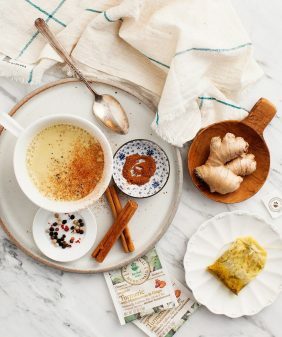 Superfood hot chocolate - a healthy holiday treat. Naturally sweetened with maple and full of cozy flavor from cinnamon, cocao, and maca. Vegan. Happy December! That feels so weird to say because in Texas it never truly feels like December (and I’m ok with that), but we did wake up to an especially chilly morning the other day. I went downstairs, made my daily ice cold smoothie, and brought it to my desk. I sat here shivering, realizing that I’m doing this late-fall morning thing all wrong. Since then, I’ve been mixing up this concoction for Jack and me – it’s a healthier hot chocolate than the Swiss Miss from the snow days of my childhood. Instead of cocoa, I decided to use a combo of cacao powder and maca powder. Cacao is the most pure form of chocolate and it’s packed with antioxidants, fiber, and magnesium. Maca (powder from the Peruvian maca root) has a malty vanilla flavor, and it’s good for fatigue, memory, and a slew of other things. * It offers a little pick me up that’s similar but not as extreme as coffee. Perfect for a little morning boost. I don’t actually serve this with whipped cream for breakfast, but if you’re making this for dessert, go ahead and make it pretty with a dollop coconut whip (recipe below) and shaved chocolate. This delicious & healthy superfood hot chocolate is great for winter mornings or a good-for-you dessert! Vegan. In a blender, mix the almond milk, cacao powder, maca, maple syrup, coconut oil, cinnamon and salt. (You can also whisk this together by hand). Transfer to a medium saucepan and heat. Taste and adjust the sweetness if desired. If it's too thick, add a little bit more almond milk. Serve with coconut whip and shaved dark chocolate, both optional. Make the coconut whip by combining the ingredients in a mixer and mix until whipped and fluffy. Note: some cans of coconut milk are duds - meaning that the solids and the water do not separate and the whip cream will not whip. I've had the best luck using Whole Foods 365 brand full fat canned coconut milk. *I’m not a nutritionist, but you can google to read about the benefits of cacao and maca. Most sites list these same attributes. This sounds and looks SENSATIONAL! Oooooooh and add a dash of chipotle or cayenne and maybe the tiniest smidge of orange zest….. I am ON IT!!!! These looks like such a luxurious hot chocolate! 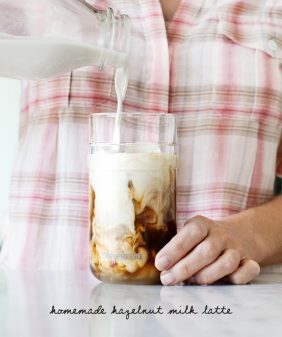 I’m definitely going to be making this on a cold Sunday like today! So yummy! I will try to find maca powder next time i shop. Os there anyore maca recipies? Perfect looking hot chocolate. 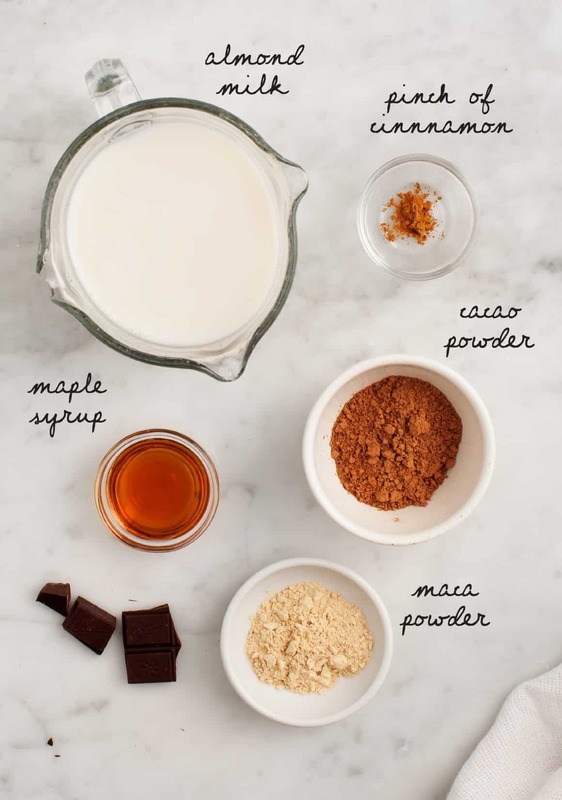 Love that you added maca and cinnamon…two of my favorite add-ins as well. Will be making this soon! It will be perfect for winter! 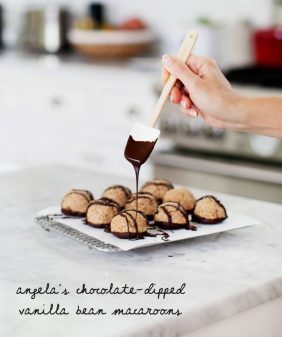 This sounds fabulous, I love the idea of the coconut whip! It looks amazing and so easy to make. I am going to make it tomorrow. I think it will be delicious. 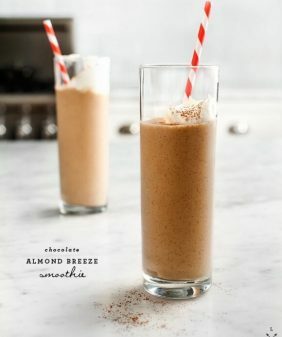 So excited to try this…I have been searching for a recipe to use my cacao powder in, it’s so delicious! Oh man!!! There is a hot chocolate chain in Seattle that makes something that this reminds me of!! Its my favorite one they make!! So of course making it at home would be especially fabulous! Can I ask where your lovely white pot is from? This looks amazing! Where did you get that sauce pan? So adorable. I made this recipe 3 times now and it is my absolute favorite! It is not too sweet, not too rich but still very tasty. Thanks! Hi Cecilia, I’m so happy to hear! Do I have to use almond milk or will regular full fat milk be acceptable? This is just what I have on hand right now. Thanks! You can use any milk! Just until it’s as hot as you would like to drink it – a few minutes, depending how quick your stove heats up. After looking at the ingredient list on my regular hot chocolate powder container…I was pretty horrified! 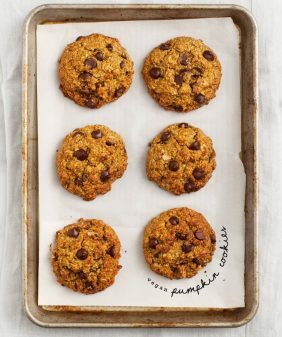 So I began to surf the net to see what the alternatives were and I came across this amazing blog and recipe. I was a little hesitant as I had never made a hot chocolate from scratch before however took a leap of faith with this recipe…. and boy am I glad I did! It was so delicious and it surprisingly tasted so much better than the regular stuff I use out of the container. This recipe is definitely a keeper for sure. Thank you so much for sharing, you have your newest home made hot chocolate milk convert here!!! Any chance I could warm this in the microwave instead of on the stovetop? Wow! 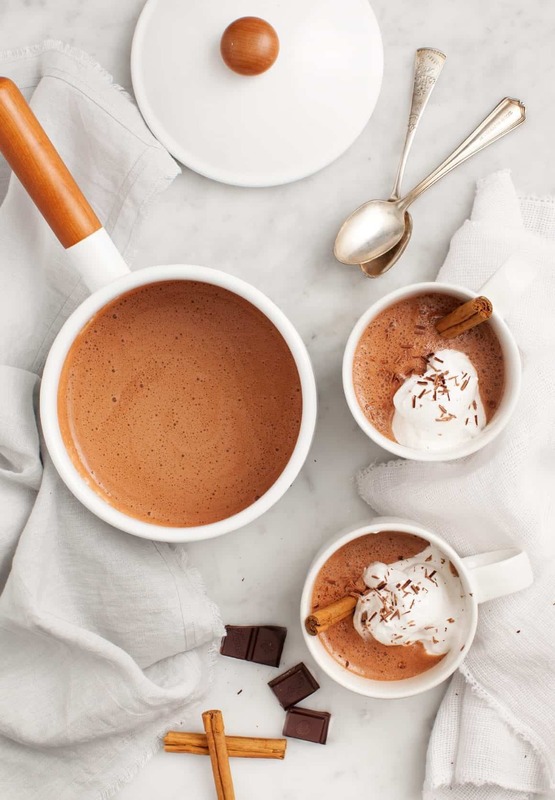 The hot chocolate looks amazing and effortless to make. Even though the ingredients are very simple, it fills with nutrients that will benefit my body. I will definitely try out this recipe! MMmmmm! Looks so yummy! Love the coconut. Wow!This is the Best hot cocoa I’ve ever had! The consistency is slightly thicker, I hate watery cocoa. This is perfect, the health boost is an added benefit. Only change I made was using coconut milk (non canned) instead of almond milk and a few drops of vanilla extract. I was wondering why you added coconut oil. Does it give it a different taste or consistency?? It makes it richer – you can skip it if you want! Ok, so I may drift away from the health a little, but for a party it may be nice to ‘spike’ a healthy drink. Being that this has maple syrup, it may be the perfect place to substitute with a little maple syrup whiskey?! Any thoughts? Lol. So an update. I was a Christmas party hit! Your recipe with a touch (or more 😉 of organic maple liqueur!!! Awesome! Thanks again! Oh my gosh, this looks so wonderful! I just included a reference link to your page and this recipe in my own blog post about chocolate. I hope that’s okay!! Thanks! I was searching for a healthy hot chocolate recipe and came across yours. Can I substitute raw cacao butter for the coconut oil? I think it also might have some nutritional benefits as well as making the drink a little richer tasting.. Thanks for the recipe! I forgot the cinnamon but it was still DeLICOUS!! This is cool! I love this recipe. I will try this out for my kids and husband. Wil be back with feedback. Thanks a lot! I just finished my mug and must let you know this recipe was DELICIOUS! I only used 2 cups of unsweetened almond milk. Keeping this recipe FOR SURE. Hi Jessica, I’m so glad you loved it! This was delicious, thank you for sharing! 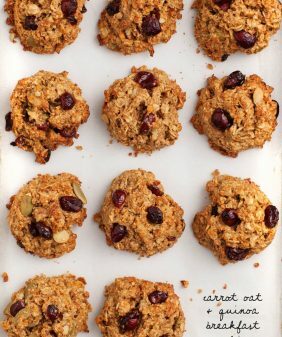 We have used this recipe the last few years and my children and husband LOVE it! It’s rich and delectable! I feel good about making them cocoa. Hi Bernadette, I’m so happy it’s become a staple in your house! This cocoa is fantastic!! I love maca and what it does for my health, and I normally put it in my smoothies but it’s just been too cold for that. However, everything else that I’ve tried it in has been terrible! I can stomach it if I need to, but I prefer to enjoy my food when possible lol. So, I found this recipe and tried it today with a few adjustments (according to my personal preferences). First, I used less than 2 cups almond milk. I omitted the oil and instead added maybe 1/2 cup of leftover coconut milk that I had in the fridge. I was out of cacao so I used regular cocoa powder, and I added a couple extra tablespoons because I like my cocoa super thick and rich. I also added extra salt to enhance the sweetness a bit more. I’m always trying to reduce added sweeteners, so I tried it with only a tablespoon of maple syrup and it was good, but I added a teaspoon more. The result: a super rich, decadent, and beneficial cup of cocoa. Yum! Thanks so much for this recipe!! My new favorite way to include maca in my diet.